Ask about our monthly promotion. See pricing for details! Good for this month Only so ACT FAST! 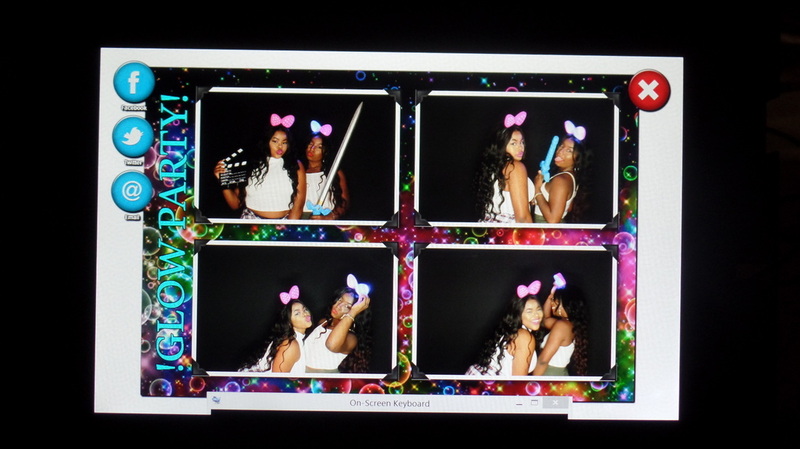 We have two types of photo booths for you to choose from. Above is our enclosed booth. 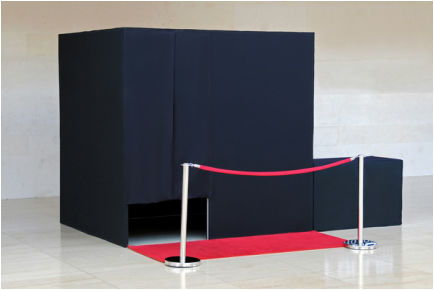 This gives you more privacy while our open-air (pictured under pricing page) does not have a cover and offers more of a sleek and modern design. We can provide a trunk full of props for you and your guest to get creative with. These are always fun. There is so much more than what is pictured above. From goofy glasses, popular signs, wigs, hats, mustaches, pregnant bellies and more, we've got plenty to have some fun with. 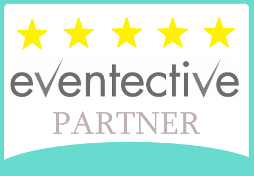 Even if we don't have what you're looking for, just let us know and we'll find it for you! Once your event is over, you can still get in on a few laughs with your online gallery. All images taken in the booth will be temporarily stored online. We can even password protect them if you'd like. There is no limit on how many times you take photos. Our process is very short and sweet. You or your guest stand in front of the booth, pose for the camera and seconds later, prints are in hand. What a special saying, color, theme or size? No worries! 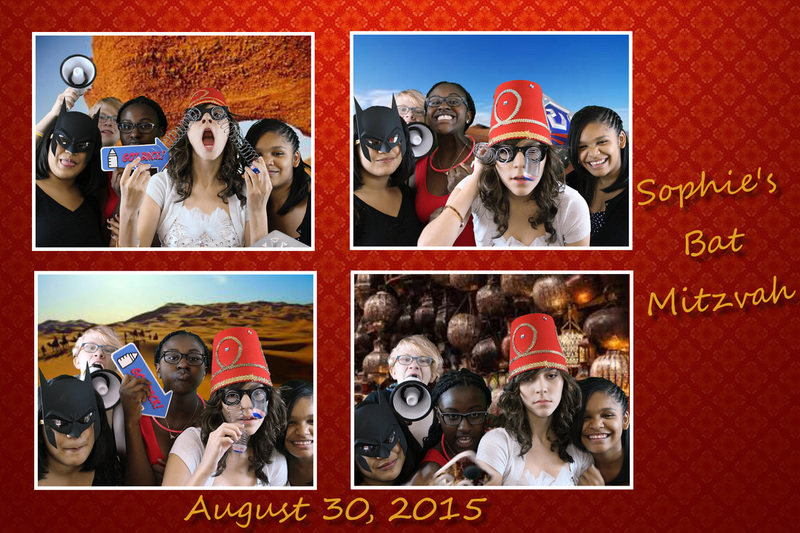 We can customize your 2x6 or 4x6 photos even to match your event. 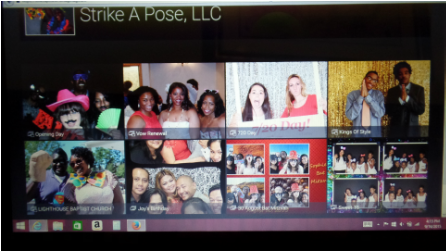 Strike A Pose offers social media integration with photos taken from our photo booth. We have packages where this is an alternative to prints. Save some trees right? 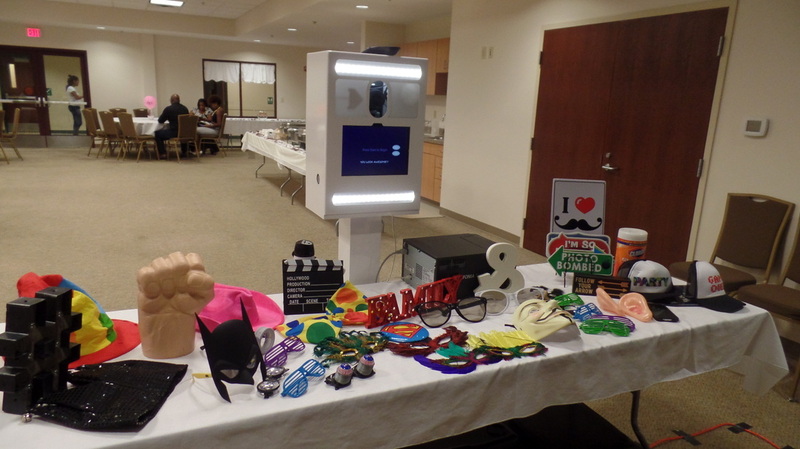 Whether you want to send photos to your email, Facebook, Twitter, iPhone, iPad, text etc., our booths can do that! We have green screen too. Stuck in the winter whether but wish you were on a sunny beach in Florida? Need a quick get away to Vegas? How about as close enough to a fireworks show as you can get? 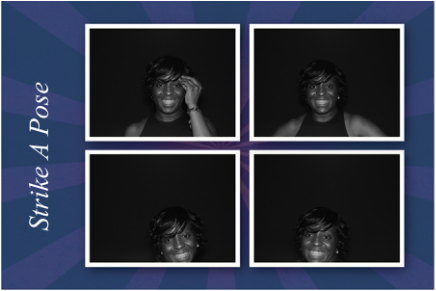 Well with the green screen service, you will be able to have this experience by taking photos with a different background beforehand.